There are a lot of people in the Mommy Mafia who judge women for throwing baby showers after the first or second baby. It seems nitpicky to me, but I sort of get it. I’m not part of the Mommy Mafia, but here’s the thing I hate the most: when parents go WAY over the top for their baby’s first birthday. Your child will not remember any of it. They’ll look at the photos one day and wonder why you wasted all of that money on a party they have no memory of. First birthdays should be low-key, just something for families. Just my opinion! 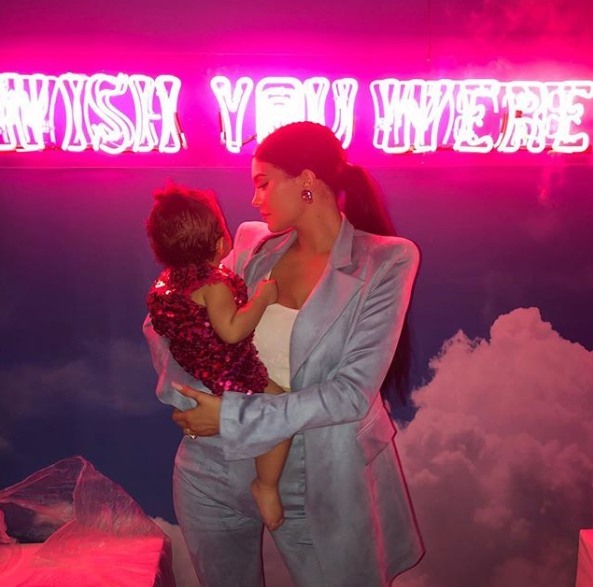 So, little Stormi Webster turned one year old on February 1st. Kylie Jenner and Travis Scott celebrated by throwing their baby a gigantic party on the backlot of Universal Studios over the weekend. There were carnival rides, the Butterfly Rainbow Forest and Baby Shark. There were French fries in Louis Vuitton-branded containers. 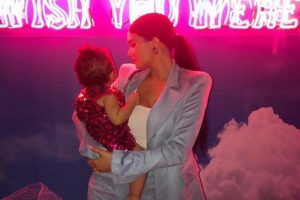 There were Chanel purses for Stormi. There was even a “Stormi’s Shop” where guests could BUY Stormi-branded material, I guess. I imagine some of it was fun for Stormi and some of it was fun for the adults. But mostly… yeah, it was just a display of ostentatious wealth for a baby who won’t remember any of it. Photos courtesy of Instagram, Twitter and Backgrid. Is Sofia Richie, 20, irritated that Scott Disick spends so much time with his ex?